0:04: Nice music. This would be really tense if I had any idea what was going on. 0:05: So… origin of Valkyrie? 0:13: Yay Internet, she said sarcastically. 0:15: Hey! It's that guy from Ghostbusters 2! 0:20: So... the sum total of this being tied in to #ThorTheDarkWorld is them cleaning up the mess Thor made. 0:36: I just love how gleefully and obliviously Simmons talks about dissecting a living sentient being. 0:43: You can tell how engrossed I am by the fact that I'm checking my feed and RTing things while I watch this. 0:49: And… there’s Ward’s secret. I guess. 0:53: Cross behind Coulson as he talks about dying and coming back. That's REAL subtle. 0:56:Oh... hell. Did they just....? Ok. That was actually unexpected. 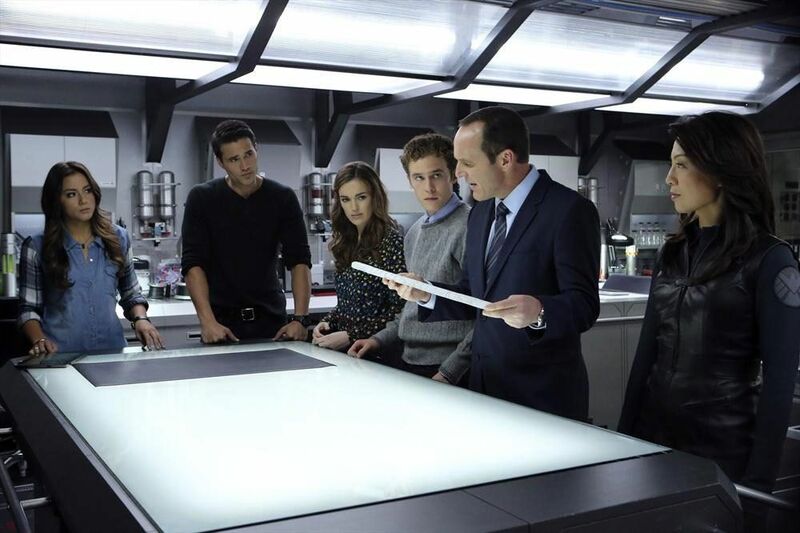 0:59: And yeah... something ain't right with Coulson's mind.